The short answer is that it is a layer of materials which is constructed over other materials. 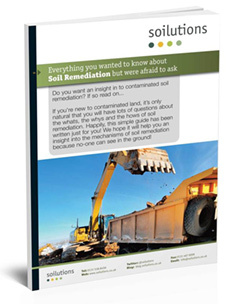 In remediation, we use them to remove a pathway from contaminated strata to receptors. If the contaminant does not have a pathway to a receptor then it is therefore no longer a risk to that receptor. Capping layers come in many forms from shallow soils in a rear garden of a residential property through to major earthworks involving 100,000’s of tonnes of capping materials as shown below. This picture above shows a great example of an earthworks cap, the ground has been prepared to avoid any puncturing of the geo-membrane, a layer of fine grained material has been laid across the membrane to avoid puncturing the membrane, and finally a coarse grained cap is laid, on which construction works can start. Capping layers can have the additional benefit of being installed to improve the ground conditions for construction purposes.